[obf sez: I'm ashamed to admit that up til recently, I was completely unaware of the massive amount of work published by the late, great Eustace Mullins, a man who J. Edgar Hoover called "the most dangerous man in America", and who was under daily FBI surveillance for 33 years. I was vaguely aware of there being a book on the Fed prior to "The Creature from Jekyll Island" by G. Edward Griffin, but I'd never known who the author was. It turns out that much of Griffin's book was "lifted" straight from Mullin's original research on the true origins of the Federal Reserve system. The video posted shows Mr Mullins to be a very engaging, personable, and humorous speaker with a simply enormous knowledge of historical facts on the Federal Reserve and many other related subjects]. "....America is a dictatorship by the billionaires. And this means that it operates by fooling the public. France is similar, though it achieves this via a different way. And, in both countries, deceit is essential, in order to achieve its dictatorship. 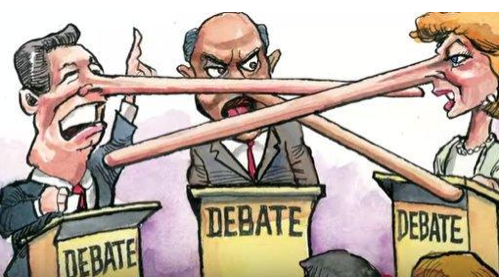 Fooling the public is now what it’s all about, in either case. Democracy can never be won by fooling the public; because fooling the public means removing the public’s ability to control the government. So, calling such a nation a ‘democracy’, is, itself, deceiving the public — it’s part of the dictatorship, or else support of the dictatorship. In former times, this system was rationalized as ‘the divine right of kings’. Now it’s rationalized as ‘the divine right of capital’....."
Alleged Parkland Fl. 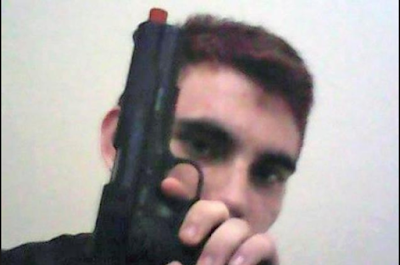 school shooter, Nicolas Cruz, with fake gun [red tip]. Note the back hole in the center of the Pentagon above. 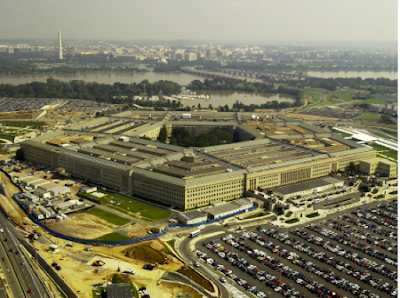 This is the gateway to another dimension , which is where the $21 trillion the Pentagon claims it has currently "lost", resides. "Leave it to the government to break the very rules they themselves have put into place. The Pentagon is supposed to keep an accounting record of monetary transactions, yet they can’t account for $21 trillion of spent money........"
"....Unless you’ve been living in a cave, you’re aware that a film, Vaxxed, has been showing in theaters across America and overseas—and audiences are stunned by its revelations. Thompson admitted the evidence showed the vaccine led to a higher risk of autism in children—but that finding was intentionally buried, and the vaccine was given a free pass.